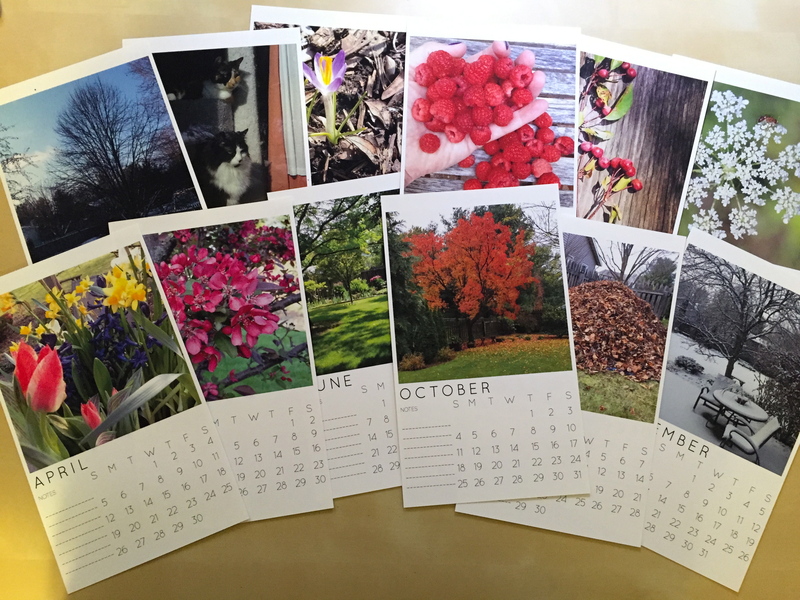 I’m excited to show you the awesome 2015 calendars I made over the weekend from the photos in my Instagram feed. I used a template from this post with a few tweaks. 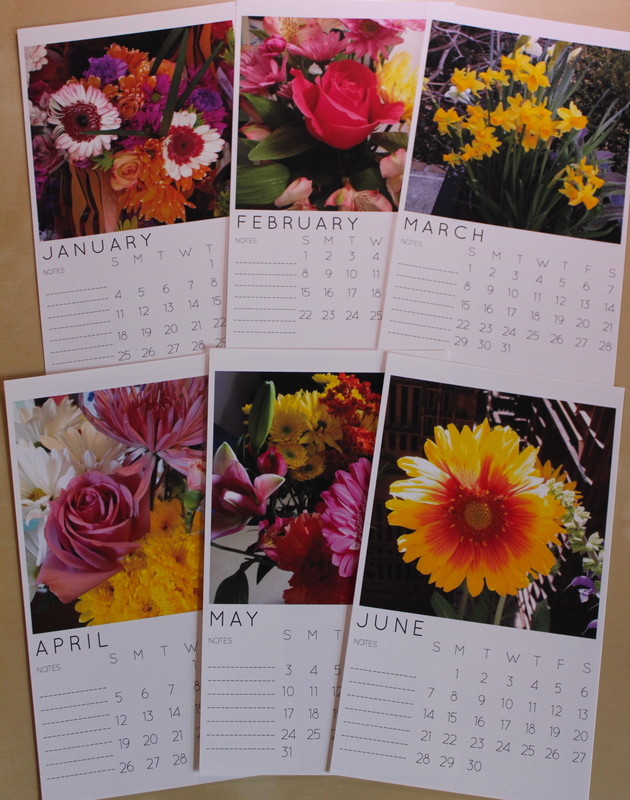 One version features photos of my weekly fresh-cut flowers and a couple flowers from our garden. 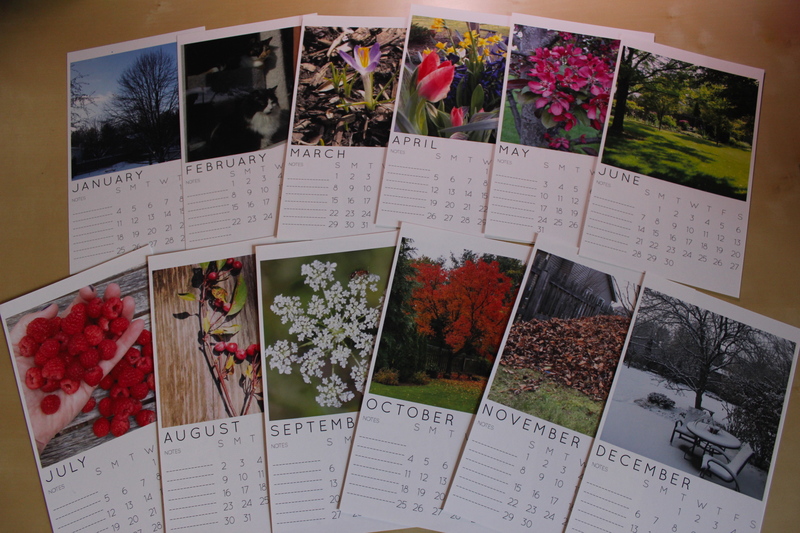 The other calendar version features scenes from our yard from each month. The exception is February, which will commemorate the one year anniversary of when we lost our Angel cat. They printed beautifully on my favorite cardstock Epson Premium Presentation Paper. I trimmed them to 5″ wide by 8.5″ high. 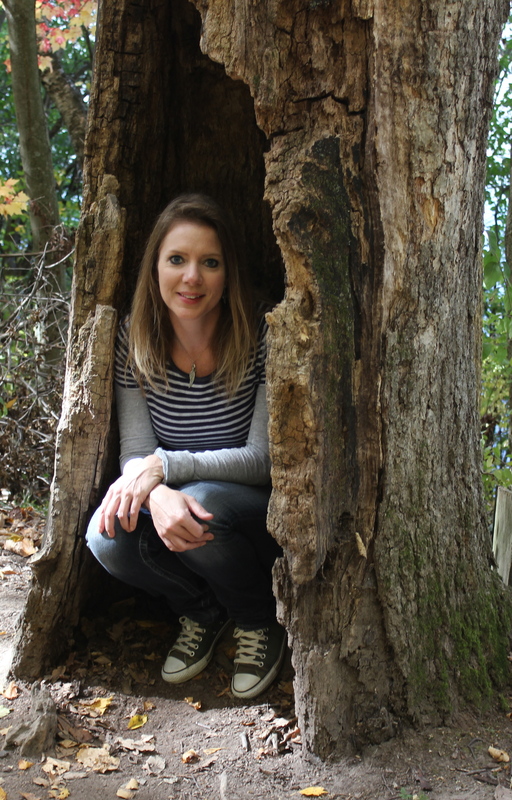 It was fun to look through the photos from 2014 and discover a couple themes. It was also a great reminder to keep taking more photos, especially highlighting the seasonal changes around here throughout the year. 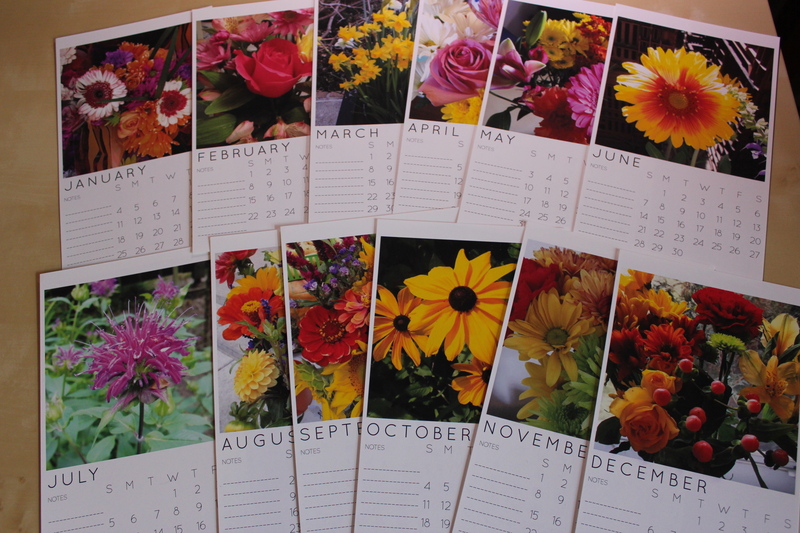 And to keep buying fresh-cut flowers each week. What a stunningly good idea. So lovely and bright, rather envious of the big pile of leaves in the November page. Thanks Bev! It was a fun project to make, and always fun to look back on the photos I took over the past year. Thanks Cindy! 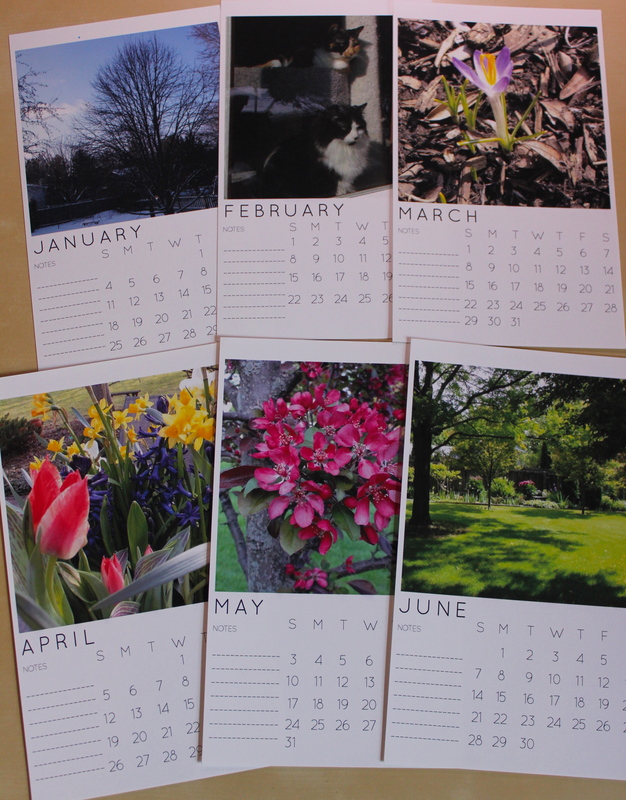 These calendars were really fun to put together.